The World Food Programme (WFP), the food assistance wing of the United Nations, has predicted that around 1.5 million people in Zimbabwe will go hungry due to a crash in maize production. According to media reports, food insecurity will be witnessed during the post-harvest period when stocks will run low. Maize is Zimbabwe’s staple crop. Data from the South African Development Community shows that 742,000 tonnes of maize is down 53 per cent from 2014-15. 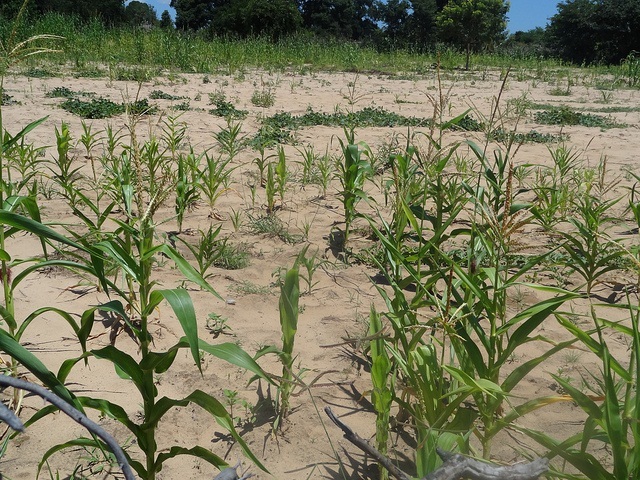 The entire sub-Saharan African (SSA) region will be hit hard as maize is the most important cereal crop in here. More than 1.2 billion people in SSA and Latin America depend on it. In African countries such as Kenya, Zimbabwe, Zambia, and Malawi, maize became a dominant food crop in the 1990s. The food crisis in Zimbabwe is being felt across the “maize belt”, making an estimated 27 million people insecure in southern Africa—a region plagued by droughts, inadequate farming methods and political and economic instability, reports say. It is feared that large quantities of maize will have to be imported because of the fall in output. A severe drought in Haiti has led to water shortage, reduced harvests and raised food prices, weakening the fragile food supply, the WFP said. According to the UN agency, over the past two decades Haiti has been repeatedly affected by political crises and natural disasters. A latest government food security survey shows that by the end of 2013 the situation has improved in Haiti and the number of people suffering from food insecurity has halved to 3 million. However, the situation is far from normal as today nearly a third of the population in the country is considered food insecure. Of these, 600,000 need external food aid to survive. Currently, one in every 5 children suffers from chronic malnutrition, 6.5 per cent from acute malnutrition, while more than half of women and children suffer from anaemia. The situation may not improve soon, as the drought, linked to El Nino, has gripped parts of the Caribbean, Central America and Haiti, and is expected to last till early next year.